Get people talking about you with an Envision exhibit wall! With its big graphic impact in an elegantly contoured edge-to-edge finish, Envision tells passersby that you’re a top quality company. Tool-free frame assembly makes set-up fast and easy with pre-installed thumb screws so there are no loose parts to lose. 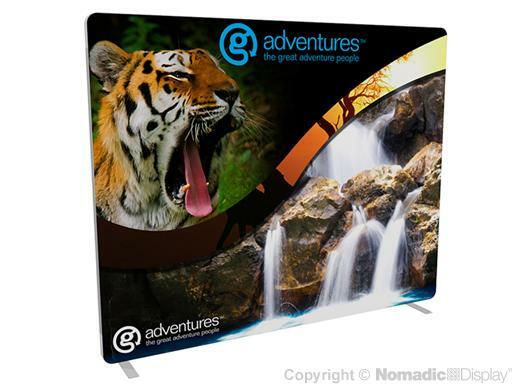 The seamless SEG (silicone edge graphic) fabric-printed panel is lightweight, durable and machine washable. Envision displays ship via UPS and FedEx and are backed by Nomadic’s industry-leading Lifetime Warranty.